Did you hear the news? 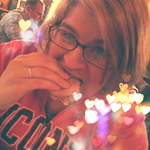 Ruthy of Omeletta–one of my friends from First on the First–is having a baby! And today, we’re throwing her a virtual baby shower to share the joy with her! There’s nothing quite like those moments leading up to the birth of your first child. Sure, my “baby” is approaching 9 years old, and her brother isn’t far behind at nearly 7, but I remember. The excitement. The wonder. The complete lack of an appetite for anything other than Saltines. The fatigue that cannot be kept at bay, followed by the mad craze of nesting when you barely sleep at all. Voraciously reading everything possible to somehow get an edge on what will come. And learning, in the end, that no matter how prepared you think you are, your little one has a whole other agenda. It’s exhilarating! It’s exhausting! And it’s all so wonderful. Ruthy is nearing the end of her journey. Soon, she’ll have her baby in her arms, and we couldn’t be happier for her! Best wishes and enjoy every minute! It all goes by so fast! It isn’t a party without other party goers and food! Hop around the baby shower and grab a bite to eat! Preheat oven to 350 degrees Fahrenheit. Line a rimmed baking sheet with parchment paper, arrange fillo shells evenly on the baking sheet. Divide the ham steak up between the fillo shells and sprinkle some shredded cheese over that. Set aside. In a large bowl, whisk together the eggs and milk until light and frothy, then portion out among the fillo shells, filling each fully (it will settle as it bakes a bit). There may be some left, depending on the size of your shells; feel free to cook it off as scrambled eggs. Bake for 25-30 minutes, or until lightly browned on the edges and firm in the middle. What’s one of your fondest memories from when your kiddos were babies? I am always so tempted to pick up the frozen tartlet or phyllo shells in the grocery store, this recipe might actually push me over the edge next time! I keep them on hand–just in case–hoping inspiration will strike. Definitely liked this idea and I’ll be making them again. Go for it! Yay! Now you have a great use for your phyllo! 🙂 So, so, so happy for you Ruthy! Can’t wait for the arrival of your little one! Yum! 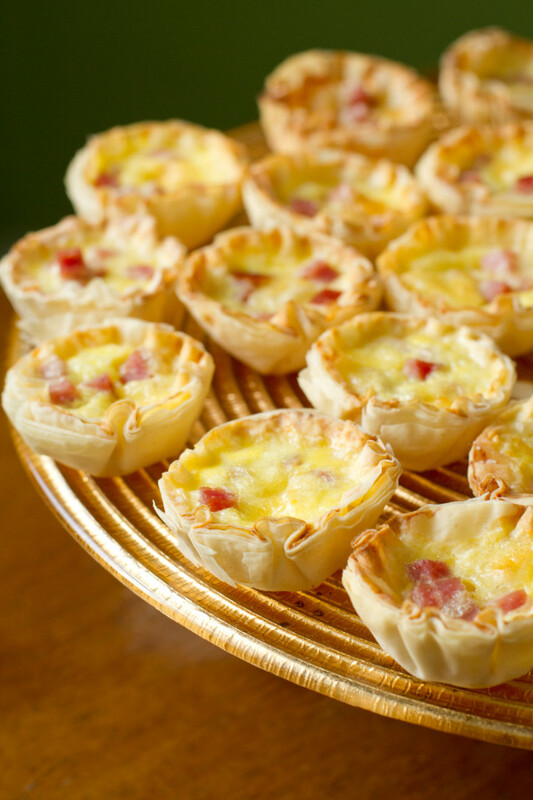 I love quiche– what a great additional to the virtual baby shower 🙂 I love bite size foods for baby showers! I feel a bit like a bull in a china shop, but yes, these are the perfect little delicacies for welcoming a baby. And so easy! Glad to have baked along with you! Ooh Dubliner my favorite! I need to make a quiche with that, I bet it tasted as good as these little guys look! Irish cheese unite! 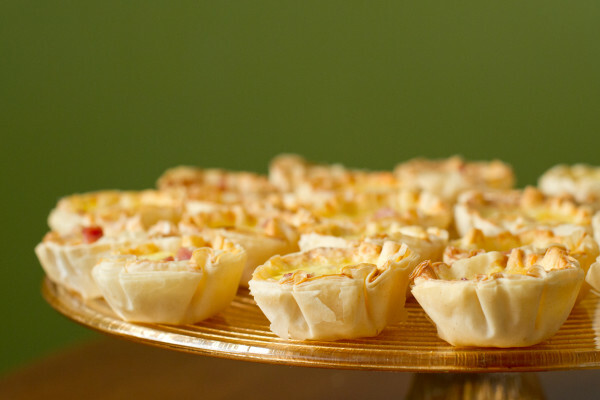 Love these baby quiche bites, especially since you can change the filling and make them pretty versatile. Yay for Irish cheese! 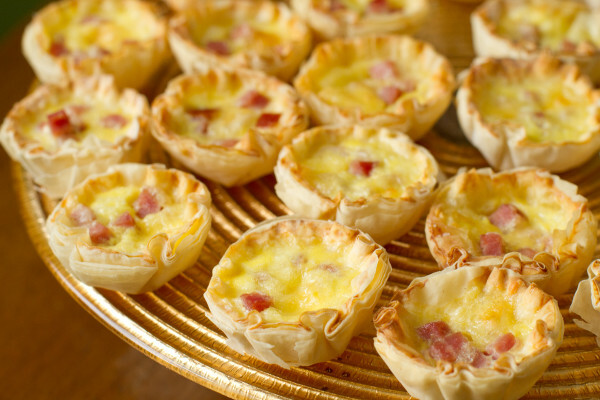 That is definitely the greatest part about mini quiche–the filling is so versatile. I’d love to grab a bite of these! What perfect baby shower food. Delightfully delicious! I adore quiche and these bite size ones are perfect party food. What adorable little tartlets! They’d be perfect served at a baby shower. That’s so wonderful that you have an interest in cooking already! Please let me know how you like it! Hii! *raises hand awkwardly* I have no cooking skills so forgive what I’m sure is about to be the most “duh” question ever… Do you let the little dough cups get to room temp first or use them straight from the freezer? Good question! I usually buy them not frozen, so let them come to room temp first. Good luck!